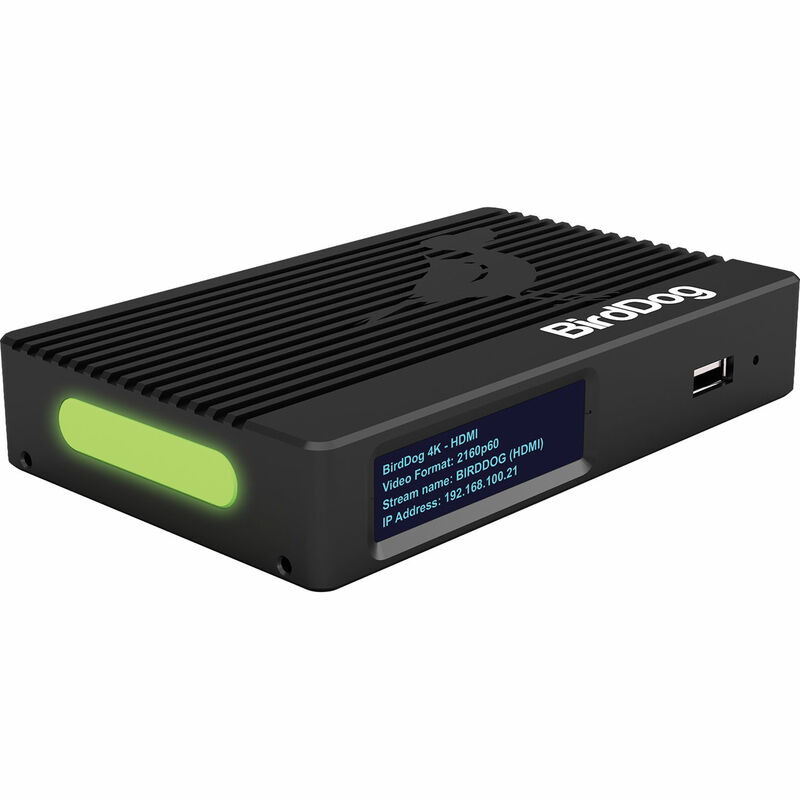 Based on BirdDog's custom NDI silicon chip, the BirdDog 4K HDMI 2.0 NDI Encoder/Decoder supports up to UHD 4K/60 video input for distribution on NDI networks in full-bandwidth I-frame compression. The compact device is housed in an aircraft-grade aluminium case and features an HDMI 2.0 input and HDMI 2.0 and 12G-SDI individual outputs. It also has a built-in cross converter that allows the HDMI input to be looped out via the 12G-SDI output. Another major feature is an SFP+ expansion slot that supports SFP+ modules for fiber connectivity and Ethernet protocols from 1-10GbE. A tally system with a large bicolor tally light is built-in for indicating which camera is live to on-air talent. The tally system allows user-selectable tally borders on loop out. The device is complete with 3.5mm audio input/output, a 4-line OLED display, and USB 3.0 interface. It can be powered by a standard power supply or over PoE+. 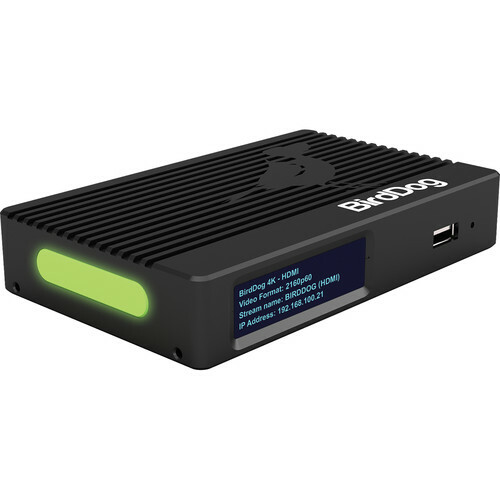 The 4K HDMI 2.0 NDI Encoder/Decoder comes with the BirdDog Comms Lite audio intercom software, which supports up to four BirdDog devices. Comms Lite is Windows compatible and offers features such as director push to talk, mute camera operator, auto-detect NDI sources, monitor camera audio, and shortcut to web console. For a more complete version of the application, an optional upgrade is available to Comms Pro. The Encoder/Decoder is also compatible with the optional BirdDog Central software, which helps you decode NDI back to HDMI or SDI.